← Why isn’t High School Sport Bigger than Texas in Australia? Why should Clubs take the Moral High Ground? It takes two to tango but why do the players get the reputation? I’ll give you three letters and tell me how they make you feel…SBW? Loved by some and vilified by others, either way he is a polarising figure. Why? It all started in 2008 when he walked out mid-season on the Bulldogs in the first year of a five year contract. What followed was a media firestorm which would irreparably damage his image. In the days that followed possible reasons for his departure were aired and the Bulldogs and SBW entered into a war of words. The Bulldogs criticised him for breaching his existing contract and maligned him for leaving for more money. His coach at the time Steve Folkes intimated that if SBW couldn’t live on $500,000 a season then he was out of touch with reality. 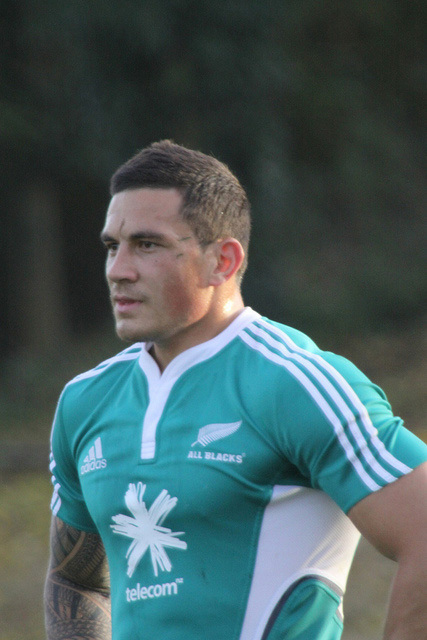 Given the working class roots of the game, this didn’t play particularly well in terms of SBW’s image either. Bulldogs supporters were wounded by their star player fleeing to Rugby Union. This was perhaps exacerbated by previous departures by stars such as Wendell Sailor (2001), Mat Rogers (2002) and Lote Tuqiri (2003) to Rugby Union. Rugby League for so long the game that pillaged Rugby Union had the shoe on the other foot and didn’t for one minute like how that felt. Their fans felt much the same. Anthony Milford’s summer of discontent also didn’t play out particularly well in the press. He apparently wanted to move to the Broncos with a year remaining on his existing contract with Canberra and as days moved into weeks it appeared that he just wouldn’t turn up for pre-season training or at all. It seemed that Milford would sit out the season rather than play for Canberra. Eventually he relented and is currently plying his trade in a green jersey and not a maroon and yellow one. Josh Hoffman’s summer played out in similar fashion with Canterbury the proposed suitor and the Broncos the club refusing to give the release. And who can forget Gorden Tallis sitting out the entire 1996 season rather than playing the last year of his contract for St George. Tallis intended to play for the Brisbane Broncos but was precluded from playing for them until 1997. Over the years the press have aired the grievances of many players dissatisfied (or allegedly dissatisfied) with their contracts. Some have secured early releases, others have completed their time. Football clubs aren’t victims when it comes to contractual matters though. Contracts generally work when both parties are satisfied with the bargain made. The working life of a professional footballer is a very narrow window indeed and generally there is an inequality of bargaining power. Clubs hold most of the power (especially when a player is young) and the players despite being represented by agents are restricted in their options (unless they can command major dollars from a rival football code as Sam Burgess and Sonny Bill Williams can). Players can become unhappy about their contract for a number of reasons but a major reason occurs if the player signs a long term deal at a certain price point and then exceeds the market’s expectations. Stuck in a long term deal at a value lower than you can command elsewhere coupled with a short term earning capacity would be frustrating for a player. Smart clubs upgrade the current deal of an undervalued player while signing a contract extension to gain long term security. It is important to note that a club carries the risk of injury during the contractual term. This was one of the reason’s the Broncos honoured the last two years of Jharal Yow Yeh’s contract. But sometimes the reverse happens. Sometimes a player who is signed to a long and expensive contract underperforms or sometimes the club feels better value could be had by signing other players to cover more pressing needs. This is especially prevalent with the salary cap in place limiting how much clubs can spend on the whole squad. This seemed to be the undercurrent of the Michael Jennings contract with Penrith. Media outlets reported that Penrith were shopping Michael Jennings around for the majority of the 2012 season prior to his departure to the Roosters. It is important to note that despite many years of loyalty by a player, if a club doesn’t feel that a player is in their future plans they have no compunction with going in a different direction. Petero Civoniceva was a good case in point. In the end the Broncos didn’t want to pay Petero what he thought he was worth and consequently he moved to Penrith despite his longstanding loyalty to the Broncos. We are never privy to the discussions made informally by clubs to players. This brings me to my primary point. It is often the players who look bad when they look to leave a club. Fans who have followed a club most of their life feel disappointed that one of their star players is leaving to go somewhere else. At the end of the day the players are entitled to maximise their earning capacity, something we can all identify with. I’m not advocating that players walk out halfway through their contracts, however, football clubs are businesses and are looking out for their bottom line just as players are. They are no better or worse than the players, they just have better marketing arms. How good was Friday night? Broncos v Dragons, Roosters v Sea Eagles, Australia v West Indies, Brisbane Roar v Melbourne Heart and Essendon v Hawthorn. I got dizzy from all the channel surfing. I would take DCE and Kieran Foran over any other club’s halves pairing in the NRL (actually the World). Peta Hiku. He was a very cool customer during the full 80 minutes against the Roosters. Can’t really see a place for him in the Sea Eagles back line after the return of Brett Stewart but perhaps recurrent injuries will give him plenty of game time anyway. BTW I did an average age calculation of the Sea Eagles outside backs (Brett Stewart (29), David Williams (27), Jamie Lyon (32), Steve Matai (29) and Jorge Tafua (22)) just for fun and it was only 27. I thought it would be higher. I thought Lyon and Matai were pushing 100. They must have graded as 12 year olds. They seem to have been around forever!! Chris Gayle is unstoppable when the mood takes him. Breathtaking to watch. The Roosters Plan B. They played bravely and were in the grind for the whole match but when plan A is clearly not working at some stage in the 80 minutes it may be time to unleash plan B. The Sharks leaving themselves a lot to do. ASADA, injuries, suspensions, losing recruitment battles and various other distractions. They will lose players to Origin as well. The door on this season is closing fast. The Australian T20 side. Exiting the World T20 tournament without a whimper. OK, there was a whimper but only in regard to the celebrations of the Windies. The inherently up and down nature of the Golden State Warriors. They win heroically at home against a very talented Memphis front court without Andrew Bogut and David Lee and then falter against the Knicks (at home again) 2 days later. Losses against inferior opposition at home all year have undermined an otherwise stellar season. There are no winners with lifting tackles. Can’t remember an NRL season where every team had lost by round 4. I’m sure things will settle down soon but there are no clear favourites at this stage. I bet at the 23rd minute mark Storm fans were thinking ‘chalk up another win’ and not ‘I reckon the Bulldogs are going to put 40 unanswered points on us now’. Ditto Tigers fans (up 12-0 at the 32nd minute mark, eventually losing 42-18). Talk about momentum changes. Nathan Peats – Run Metres – 56m, Line Breaks – 1, Line Break Assists – 0, Tries – 1, Try Assists – 0, Tackle Breaks – 3, Tackles – 51, Missed Tackles – 5, Errors – 0 and Number of Weeks that Souths regret not having him (Isaac Luke the man who was above him in the pecking order at Souths is injured) – 6 to 10. What do you think about the issue, do you side with the clubs or the players on this one? This entry was tagged Australia, NRL, Rugby League, Sonny Bill Williams. Bookmark the permalink.